It's a term as old as time. I unfortunately hear it all too much. Crossfit workouts are the epitome of this phrase and it's something I've grown accustom to. It means that when you are in the middle of something that causes discomfort, sometimes even pain, it's better to accept the current situation and understand why you are there and why you have chosen to be in this position. Lets flip this to home remodeling and full renovations - pun very much intended. The dreaded demolition phase. Something HGTV makes look like a time of swinging Thor's hammer carelessly into the wall, breaking out windows and throwing things into a dumpster. It shows this stage being over within minutes of the overall show. But what they don't show you is the long and strenuous process it takes to get everything ready to rebuild. I'm not going to lie, it's a lot of fun for the most part. You get to tear things apart and unearth years of dirt and grime and mistakes. But, even during one of those stages where attention to detail doesn't seem important, it is and here is why. You learn others mistakes - not having the formal education from school or training with first hand experience growing up, the demo stages have helped me understand areas that previous home owners or contractors have cut corners or done things the wrong way. 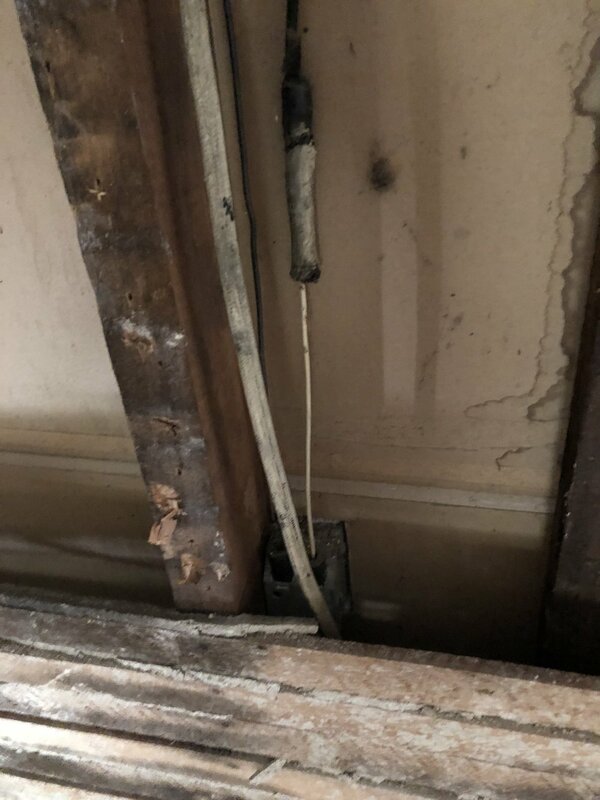 It doesn't take a high level contractor to know you don't bury a junction box in the wall with open wires and cover it with drywall and wall paper. It certainly doesn't take a home inspector to identify water damage in walls and trace it back to where there was a gap in the roof. Once you've been able to identify the mistakes, you can now attack each problem head on. You get to trace out plumbing and electrical and move things around - working in a home that still shows nob and tub wiring, it's great for me to see the path the builders took to get electricity to each room. We can find old piping or change locations of drains and faucets by tearing out the old. This is the moment you see your renovation as not another flip but something you get to make awesome for someone else. Respecting the history - our focus has been on full renovations of old homes. This affords us the opportunity to pluck a home out of time, dissect it down to the studs and see how humans built large, magnificent homes in the early 1900’s. If you can’t step back, pause for a moment and stand in awe of what people built 100 years ago, in which they continue to stand through the years, then you’re likely not in the right mindset for flipping homes. Yes, the way they were built where not the way we would do things today but imagine what homes will be built like in another 100 years. We will certainly be laughed at for our work as well. Enjoy the moment - for me, this is hard to realize. I'm such a dreamer and forward thinker that it's hard for me to appreciate the position I'm in at the moment. But, with dirt on my face and dust in my pockets, it still beats a 9-5 desk job and for that, I'm very thankful.